Southco has expanded its successful E5 Cam Latch series with a new latch designed to prevent accidental opening. 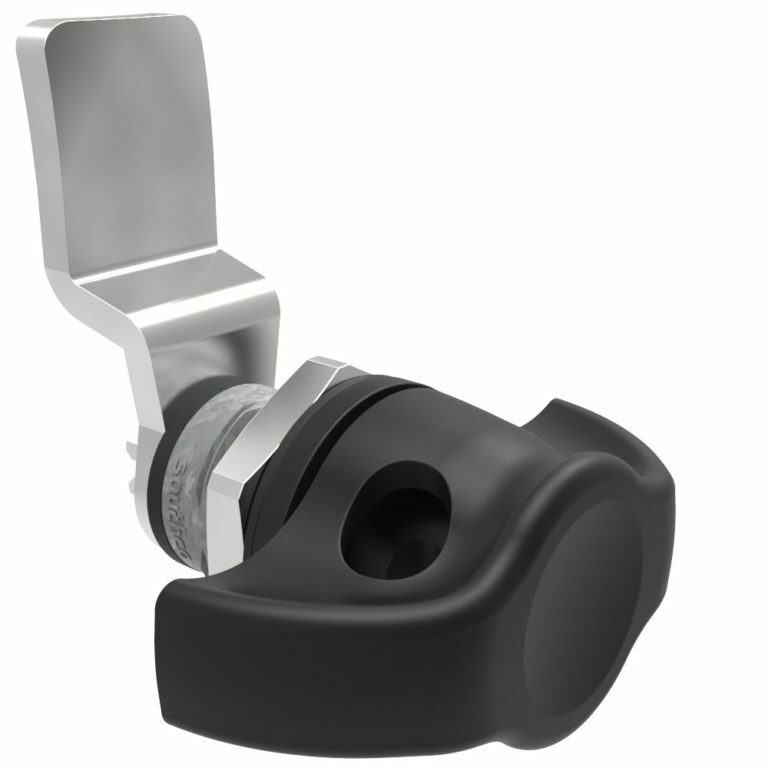 The drop bushing feature of the E5 Shutter Cam Latch adds additional security by preventing the cam from rotating open in high vibration applications. 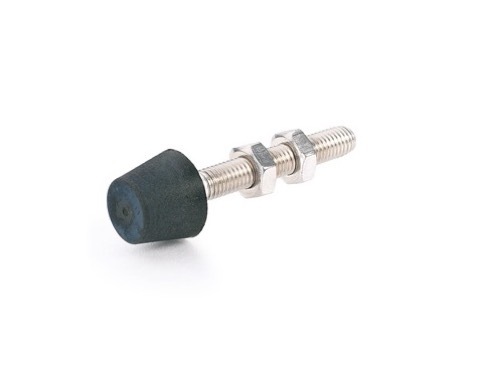 The E5 Shutter Cam Latch is designed with a spring loaded bushing that covers the driver recess. To actuate the latch, the bushing must be manually depressed. 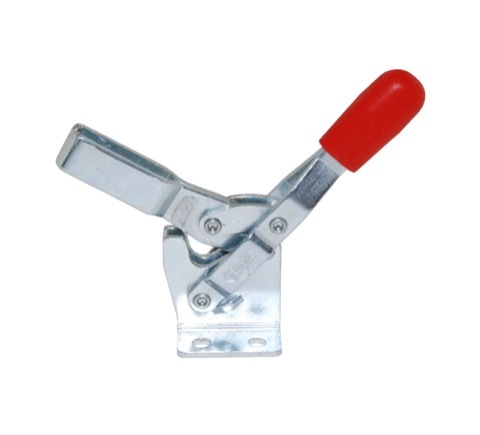 In the event that the latch is not entirely closed, the bushing remains in the depressed position, providing a visual indication that the latch is unsecured. The E5’s bushing is designed with a longer travel distance, providing enhanced security. With its flush, low profile design, the E5 Shutter Cam Latch provides a clean appearance, minimizing dust and debris collection that may affect operation. The E5 Shutter Cam Latch also meets NEMA 4 and IP65 standards for water and dust protection, as well as EN61373, the shock and vibration standard for railway applications. 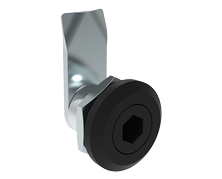 Southco’s line of E5 Cam Latches delivers robust, vibration-resistant fastening, features a variety of grip lengths and is available in numerous head style options for added security. Additionally, the E5 Shutter Cam Latch features the same panel hole preparation as the standard series and is available with a separate latch and cam assembly to promote modular use. With its spring loaded bushing and visual indicator feature, our newest E5 Cam Latch is designed to keep doors and panels affected by excessive vibration securely closed. The E5 Shutter Cam Latch satisfies industry regulations for water and dust ingress protection, making it an ideal solution for high traffic areas such as floor paneling and enclosures in Transportation and HVAC applications. New Corrosion-Resistant, Two-Stage Rotary Latch Eliminates False Latching Conditions Southco’s R4-30 Two-Stage Rotary Latch is constructed of high-strength, corrosion-resistant stainless steel, making these latches an ideal choice for enclosure applications exposed to demanding environments. The R4-30 series features a two-stage design that prevents false latching conditions in enclosure applications, and provides concealed latching for increased security and industrial design. © 2018 Southco, Inc. All Rights Reserved. 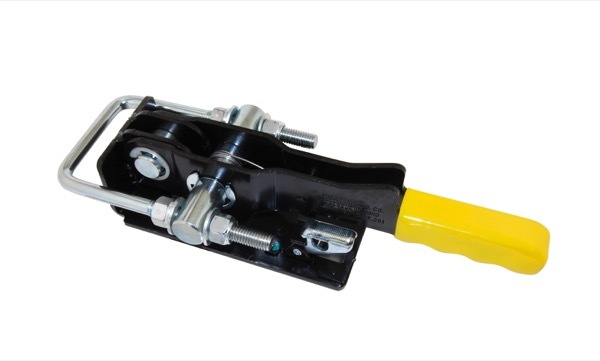 With 8,000 lbs of holding force, the 960 Series draw latch is a monster! If you’re looking for maximum strength, this might be for you! But this draw latch has more than strength. It’s adjustable, has a comfy rubberized grip and features a secondary catch to prevent accidental opening. For more information about your options for heavy-duty (or lighter duty) draw latches, use our handy Contact Form!